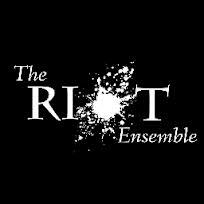 Last week, the ensemble Riot gave two amazing performances of my ensemble work, Aura. This is a top class ensemble. Not only excellent players, but a great dynamic and very professional work ethic. The rehearsals were a joy and the piece sounded great from the get go. It was a pleasure to work on refined details and interpretation. And the performances were just full of life and nuance. I can’t recommend the group enough. Some pictures below of my time with the group, and I’ll post a recording as soon as possible.